Obao’s lunch menu specials includes an appi(half sized portion)with an entree(full sized) for only $9. I choose the steamed dumplings (available fried) from the options that included Grilled Eggplant, Tom Yum Kai soup and a House salad with Peanut dressing. From a rather large selection of entrees I choose the Kui Teaw Lak Sa, shrimp,pork belly and buckwheat noodles in a spicy coconut curry broth. To adjust the heat to your liking a dish with lime, Jalapenos, bean sprouts and dried hot peppers accompanied it. 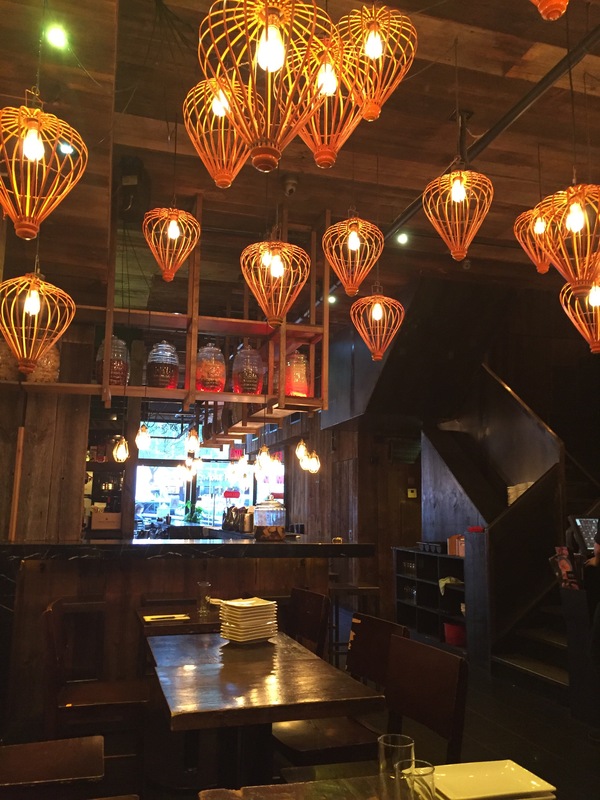 Among a slew of like options in the area, Obao offers great food with fair prices in a far more stylish setting. 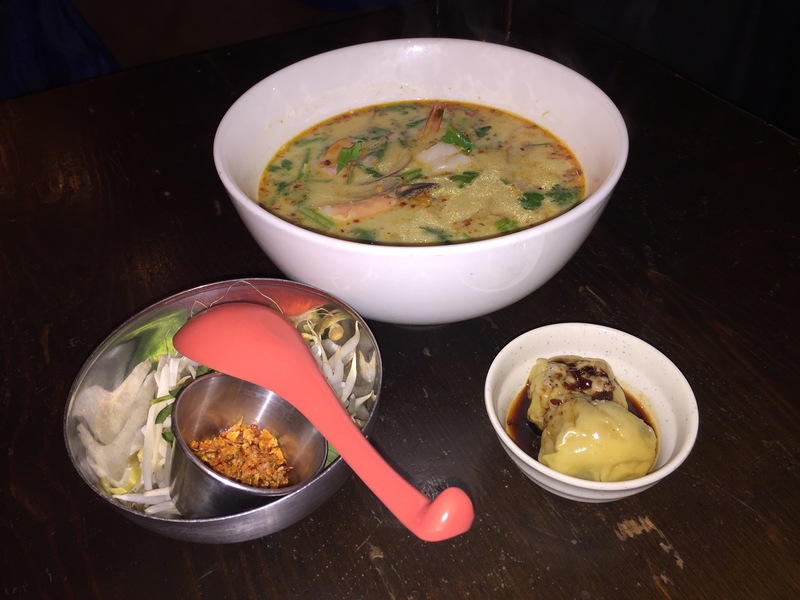 Posted by Hunter on October 21, 2015 in Cheap Yet Tasty Eats, Dinner, Food, Lunch Spots, Restaurants, Uncategorized and tagged 9th Avenue, Asian Fusion, Lunch Specials, Obao, Thai Food, Vietnamese.